What do you expect nowadays from a table lamp? First of all, it needs to be “compliant with one’s hands” i.e. it needs to move 360°, just as we wish. 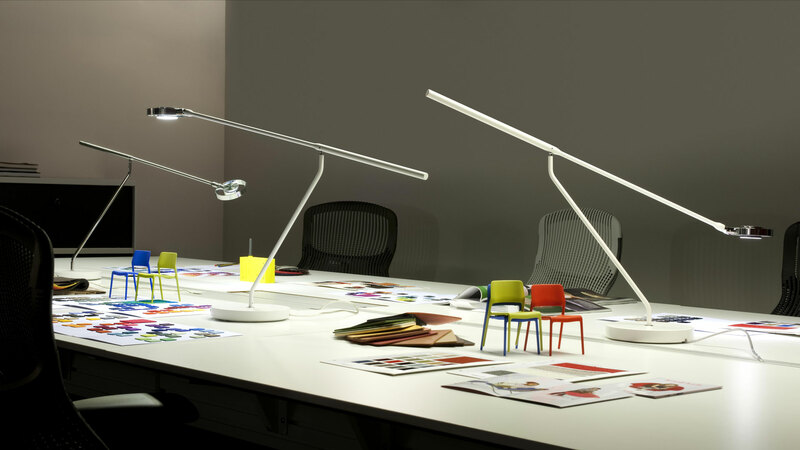 Then, it must give out a cutting-edge, ecological and “eternal” source of light, like a LED. The young German designer Lutz Pankow has thus created its first project for an industrial production: a slim item, thanks to the sophisticated articulation of its joints, not at all intrusive, made up of two rods leaning one on top of the other. Its micro-head, which can be easily handled thanks to the halo-handle, contains 2 LEDs. 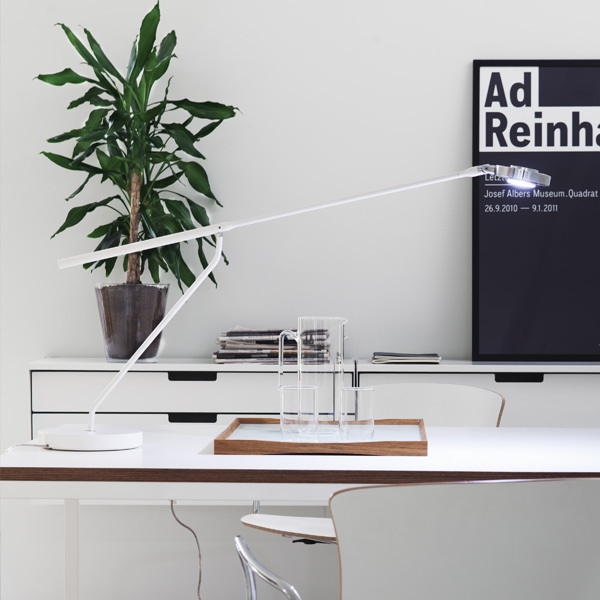 The perfect balance of the entire model exalts the simplicity of its lines and transfers its value from the world of shape to the world of function (“Lutz” exists when it is used!). 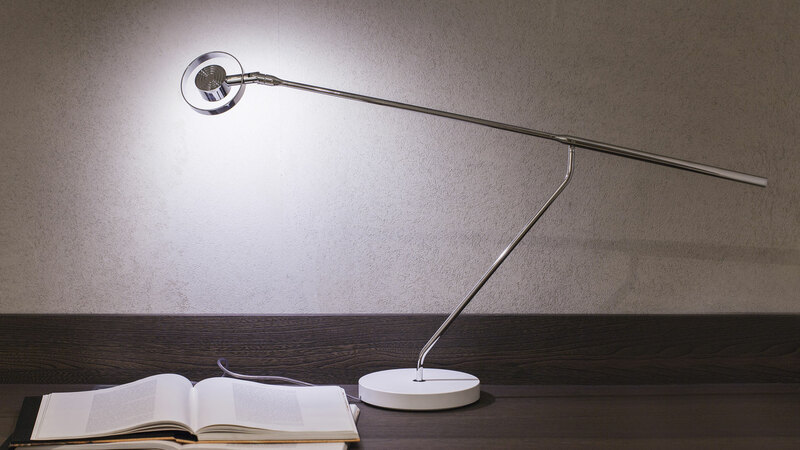 Adjustable table lamp giving direct light, with LED. Pivoting arm with 360° rotation at the base and support. 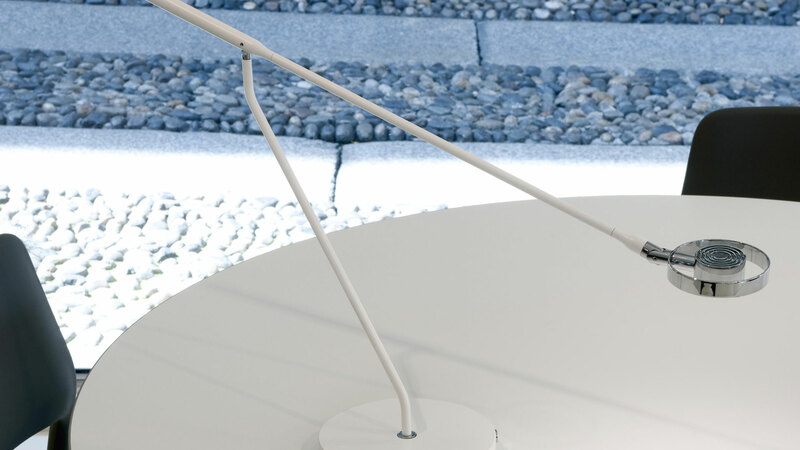 Revolving and bendable reflector. Base in opaque white or black lacquered metal, structure in chromium-plated or opaque white or black.